Since the exit of Sir Alex Ferguson, Manchester United have found it difficult to keep a hold of managers and new signings at the club. David Moyes and Louis Van Gaal have been the bosses that were shown the exit door by the upper management, and as far as the players are concerned, the list is never-ending. Di Maria, Falcao, Van Persie, Zaha, and countless others have come and gone too soon for the liking of the fans. 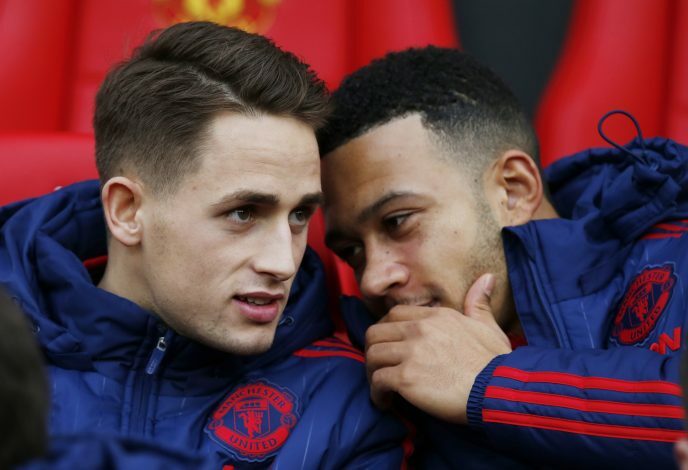 However, if there are a couple of names that the people would want back at Old Trafford, Memphis Depay and Adnan Januzaj might just be them. The former left the club for Lyon in January 2017, while the Belgian left for Real Sociedad later that year. Both were dubbed to be the next best things at United, before eventually leaving as flops. While Januzaj was not successful in his spells with Dortmund and Sunderland, Memphis has turned his career back towards the top with the Ligue 1 club. As per multiple reports, both players have buy-back clauses in their current deals with their respective clubs, a lesson United seem to have learned since the departures of Pogba and Zaha. Memphis has been putting in sensational performances for both club and country this campaign, forcing the supporters of the English giants to want him back. Mourinho recently claimed that he saw a lot of potential in the Dutch attacker, and given the Red Devils’ need for reinforcements, anything seems possible.